In 1935 the Model 60 was introduced here, this was a Model 48 with a smaller 22 taxable horse power, English designed engine. 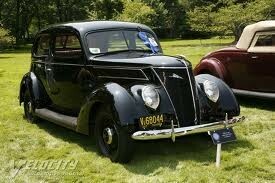 This was replaced in 1936 by the Model 62 same engine but a completely new body. The body was restyled with an external boot in 1937. This design continued until 1939. During the war this design was militarised and fitted with the bigger 30 taxable horse power engine. 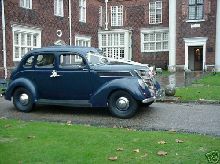 In 1947 the same body with a re styled front was released as the V8 Pilot model E71A. The Pilot was originally destined to have an updated 22 H.P. engine but this was dropped it was unrelable, and horse power tax was dropped which made the small engine un-necessary. It is possible a few, about a dozen, small engined Pilots reached the public.